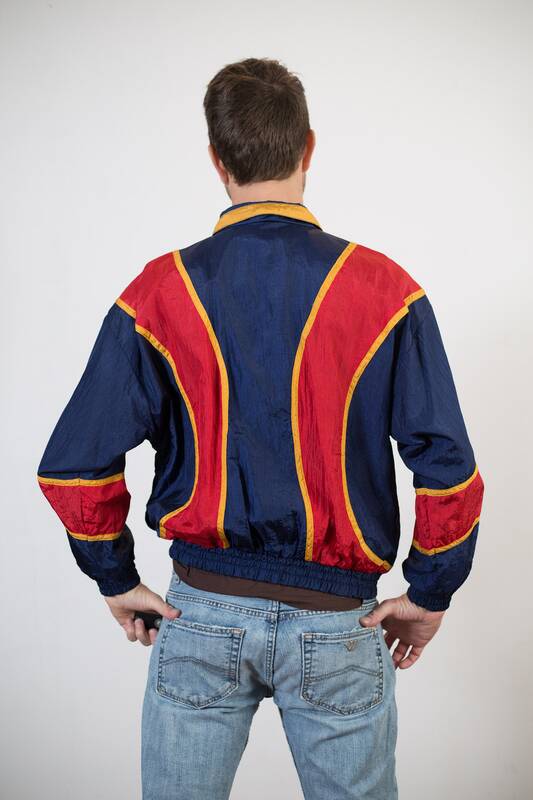 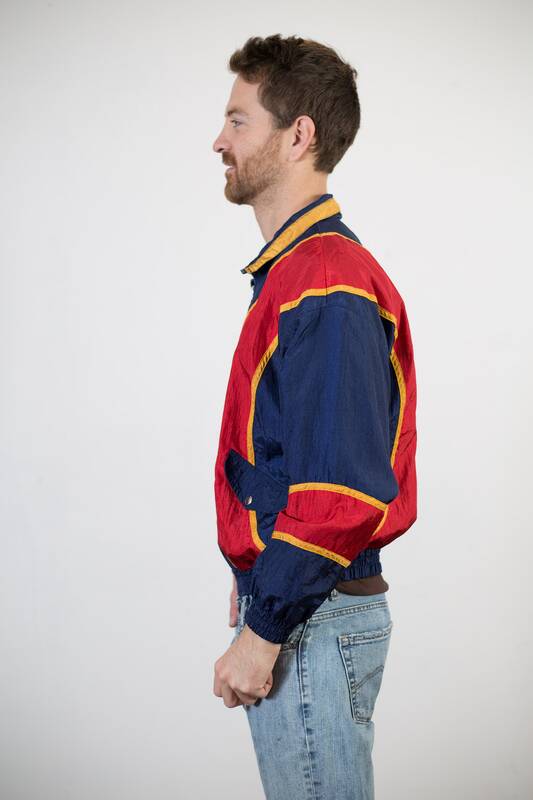 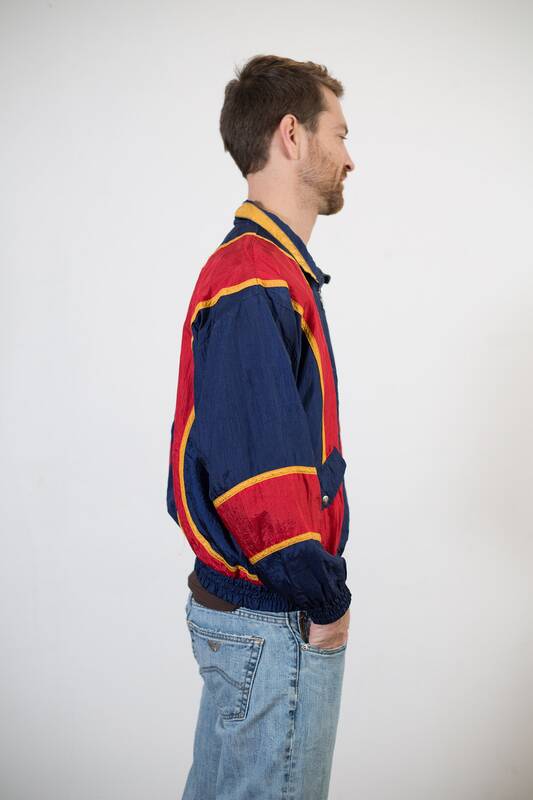 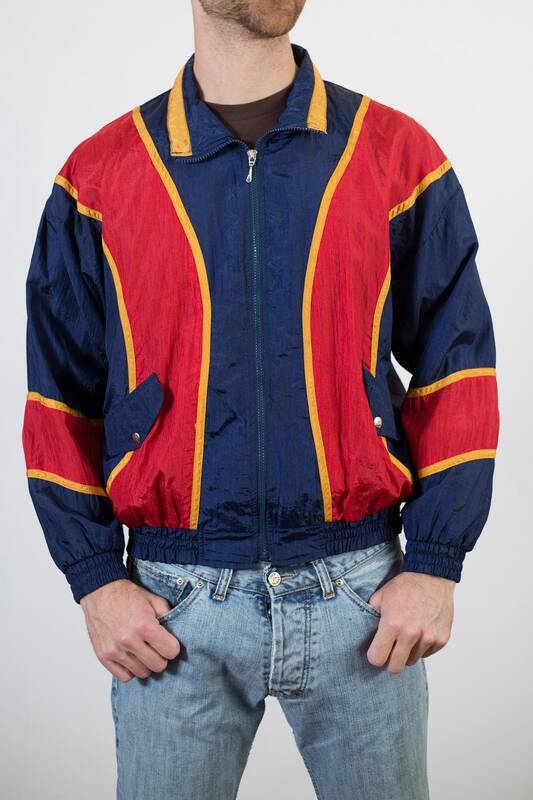 This is a fantastic vintage windbreaker with a Fresh Prince colour blocked look. 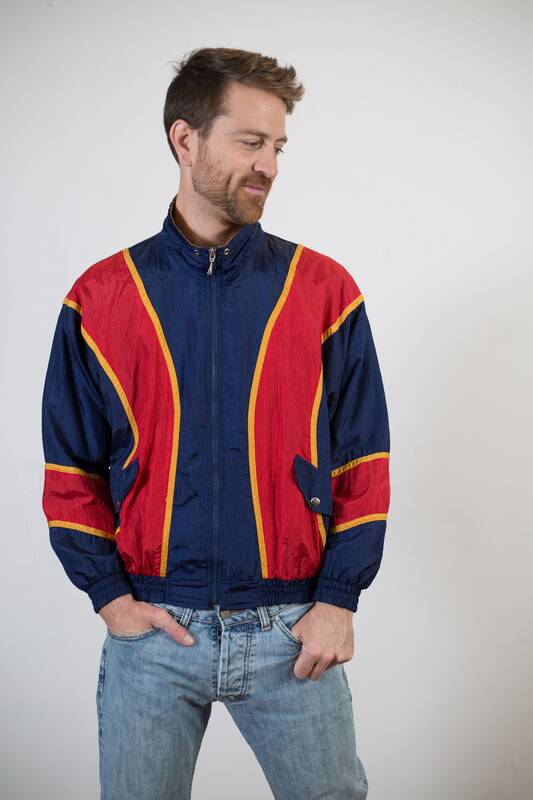 Red, yellow and blue colours dominate this retro geometric jacket. 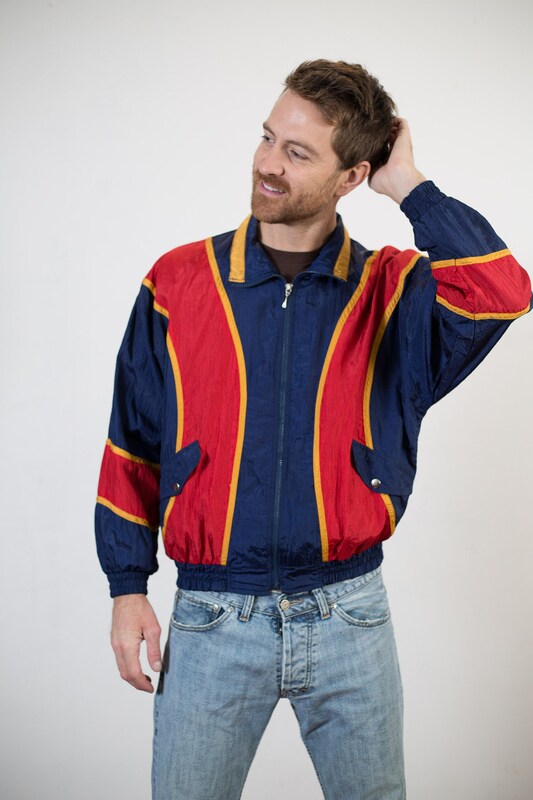 Size: tag reads Medium (model wears medium, is 5'11).